ISRAEL – Concerns have been raised that restrictions on water usage may be required in 2019 if drought conditions persist due to failure to meet desalination targets set out in the country’s strategic emergency plan for tackling water shortages. Five large desalination facilities currently provide 70 percent of the country’s drinking water, with additional plants planned at Sorek and western Galilee. At present the water scarcity is predominantly affecting the agriculture sector, but if the drought continues wider disruption to the general water supply is expected. ISRAEL – IDE Technologies has launched its new MAXH2O high recovery desalination technology, which reduces brackish water reverse osmosis (BWRO) brine reject. The technology incorporates a reverse osmosis system with an integrated salt precipitation unit to reduce scaling from sparingly soluble salts and biofouling without the use of additional chemicals, and claims recovery rates up to 98 percent. It may be implemented as a standalone system or incorporated into an existing BWRO plant to maximize plant production and reduce brine discharge. 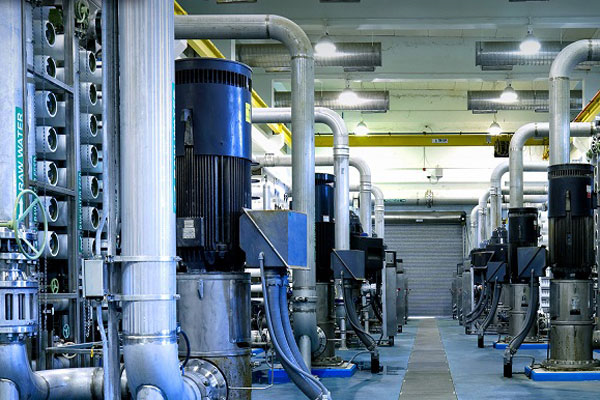 PAKISTAN – The Sindh Cabinet has decided to build a desalination plant in Karachi to resolve ongoing water issues, and a local minister has been directed to begin work on the construction of the plant. According to the Irrigation secretary the construction of Diamer-Bhasha and Mohmand would also prove beneficial for the region. USA – LG Chem has been awarded three contracts for the supply of brackish water reverse osmosis (BWRO) membranes to several major US utilities. LG Chem will deliver replacement membranes to the Silicon Valley Advanced Water Purification Center in Northern California, Orange County’s Ground Water Replenishment System, and the West Basin Municipal Water District’s Edward C. Little Water Recycling Facility. 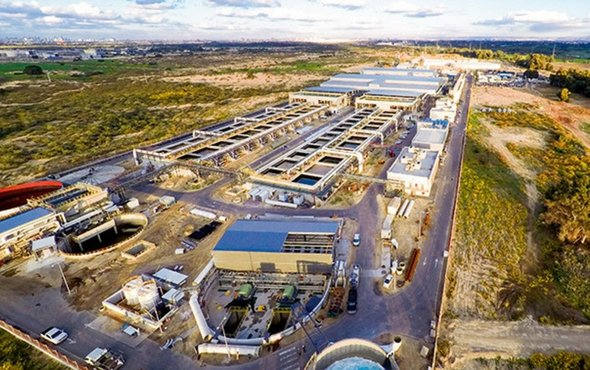 Amiram Barkat and Sonia Gorodeisky, “Israel failing to meet desalination targets”, en.globes.co.il, Aug 23, 2018. <https://en.globes.co.il/en/article-israel-failing-to-meet-desalination-targets-1001251056> accessed Aug 27, 2018. “IDE Technologies launches MAXH2) for Increased Brine Recovery of Brackish water desalination plants”, globenewswire.com, Aug 20, 2018. <http://globenewswire.com/news-release/2018/08/20/1554001/0/en/IDE-Technologies-Launches-MAXH2O-for-Increased-Brine-Recovery-of-Brackish-Water-Desalination-Plants.html> accessed Aug 27 2018. “Sindh cabinet decides to establish desalination plant in Karachi”, geo.tv, Aug 21, 2018. <https://www.geo.tv/latest/208226-sindh-cabinet-decides-to-establish-desalination-plant-in-karachi> accessed Aug 27, 2018. “LG Chem inks US desalination project contracts”, tradearabia.com, Aug 24, 2018. <http://www.tradearabia.com/news/IND_344345.html> accessed Aug 27, 2018.